Florida State soccer and North Carolina for the championship in Cary, North Carolina. Sound familiar? FSU and UNC will meet on Sunday for the national championship after the Seminoles avenged last season’s Sweet 16 loss to No. 1 and defending national champ Stanford on Friday night in the College Cup, 2-0. 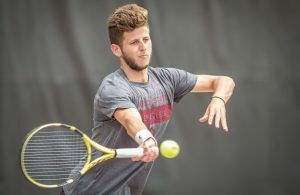 The Florida State victory ended the Cardinal’s 45-match unbeaten streak. Both goals for the Seminoles (19-4-3) came in the first half and the stout FSU defense did the rest. 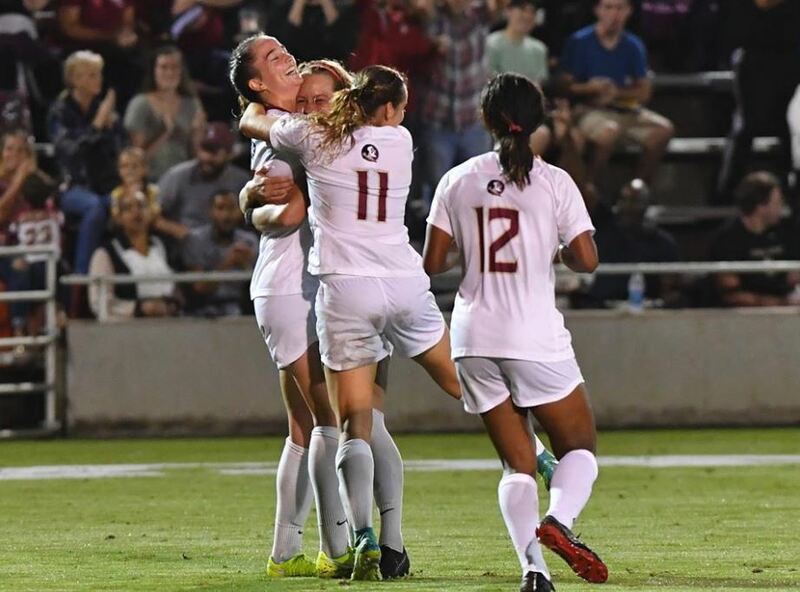 Stanford finished with 12 shots compared to FSU’s 11 on Friday night in Cary, but only one of the Cardinal shots was on goal and was saved by a jumping Caroline Jeffers. Six of the 11 shots for the Seminoles were on goal. Gabby Carle’s first goal of the season got the scoring started as she sneaked the ball past several Stanford defenders, including goalkeeper Alison Jahansouz, for the unassisted score. On an assist from Deyna Castellanos, Malia Berkely doubled the FSU lead in the 42nd minute on a shot that bounced off the hands of Jahansouz and fell into the net. Entering the night, Stanford (19-1-2) had trailed for less than eight minutes all season, but were on the short end of the scoreboard for the final 61 minutes. 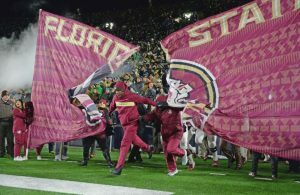 FSU is headed to the title game for the first time since winning its only national championship in 2014. Like this one, that contest was also an all-ACC showdown. North Carolina advanced past Georgetown on Friday night in overtime, 1-0. 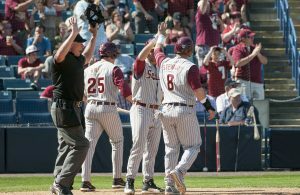 The Seminoles defeated Virginia 1-0 in 2014. The Seminoles and Tar Heels split a pair of meetings this season. After North Carolina won 1-0 in Tallahassee on Sept. 14, FSU defeated the Tar Heels in Cary for the ACC Championship on Nov. 4 by a score of 3-2. The teams will meet for the national title at 1 p.m. EST on Sunday.